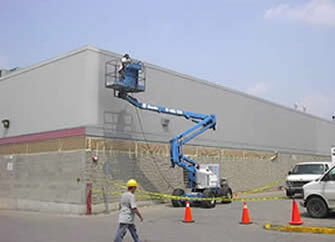 Control Painting is an electrostatic paint contractor that provides quality finishes on-site for Ontario market. We are able to refinish metal fixtures, exteriors and interior products without the hassle of shut down or interruptions to your business. For over 25 years we have worked for some of the largest franchises, property management firms, restaurants and grocery stores in the Ontario province. We are able to complete projects of all sizes. From a single store locations to your whole brand. We will travel the province ensuring that the same high quality process and products are used for every project. We have tested and proven systems for refinishing metal of all types. We pride ourselves on our proven track record of quality and value. Copyright © 2012 Control Painting.